Two blog posts in two days!!! Whatever next??? I'm determined to keep on top of this blogging malarkey, if nothing else it'll be nice to look back on at the end of the year and see how productive I've been! Anyways.... a good few months back (like summer last year!) 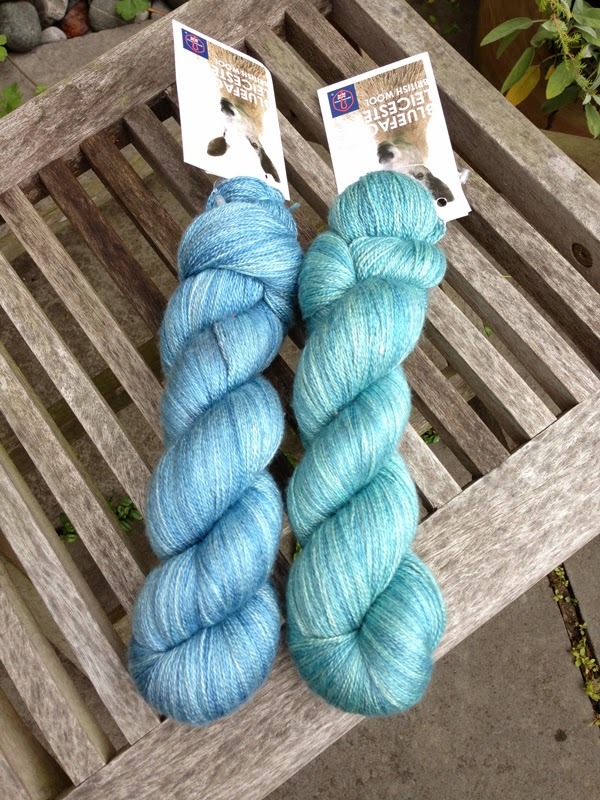 I spotted some gorgeous hand dyed yarn that were one offs and thus reduced in price. And not being able to resist a yarn bargain (well come on! who can???) they ended up in my basket! Aren't the colours just gorgeous? A heady combination of Blue Faced Leicester and Silk. Lace weight and as soft as soft can be! But then the novelty of making teeny things that needed joining, quickly wore off. Especially when I thought of the zillion teeny ends that would needed to woven in! So that idea was quickly scrapped! 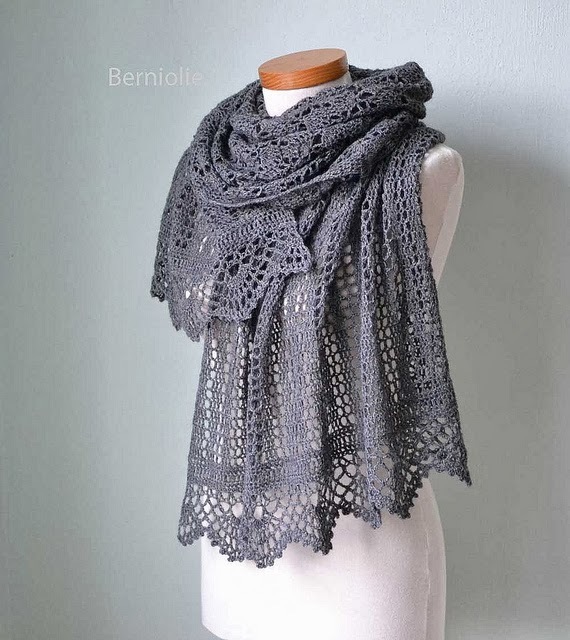 In my mind I wanted to make a summer shawl/stole. Something floaty, lacy and quite gorgeous! I needed a pattern that fit all of the above so spent some time trawling through patterns on Ravelry. God I love that site! They have a pattern for almost anything! I stumbled upon the most gorgeous pattern! This lady has an Etsy store.... check out her gorgeous designs! I want need them all! My list of projects to make in the future tripled after seeing her designs haha! Scuse the crappy picture quality...it was late! I have to say that her patterns are lovely and easy to follow. Normally I throw at least 3 tantrums when trying to work out a new pattern but not with this one! 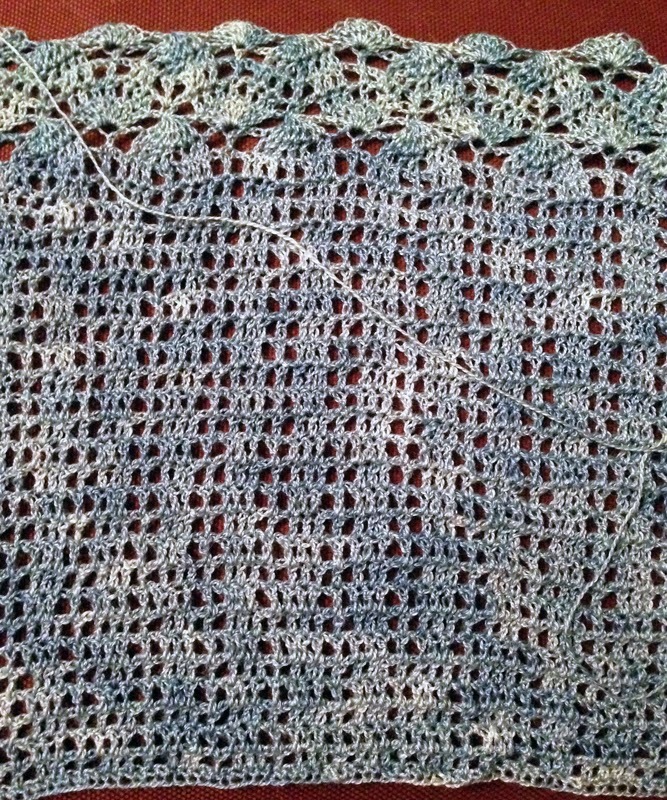 Because it's a very lacy pattern, I think a good block at the end will make all the difference. The yarn is lovely to work with if a little slippy due to the silk content. 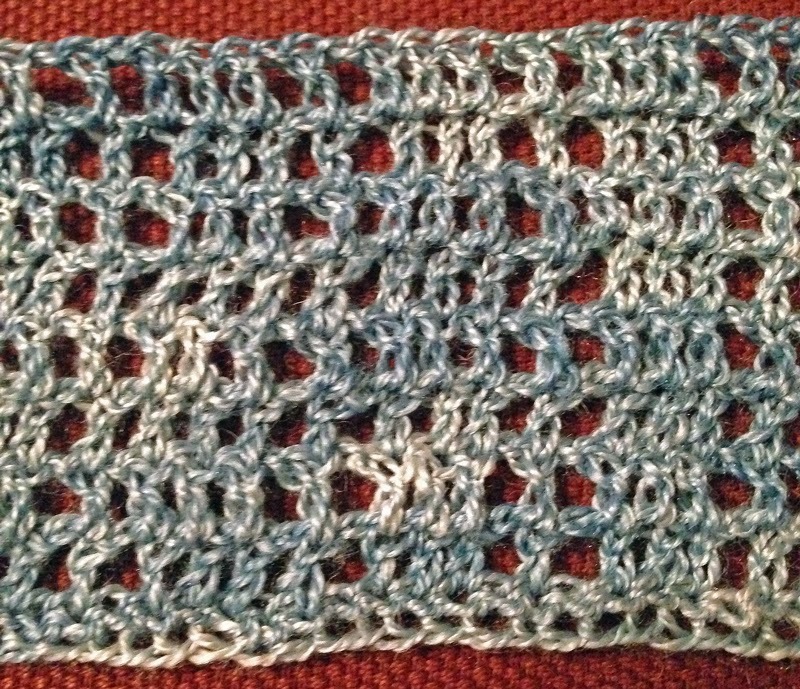 I actually think my vision of a floaty summer scarf will be reality! Oh happy days! Til next time when I shall be sharing my latest skincare discovery!! !